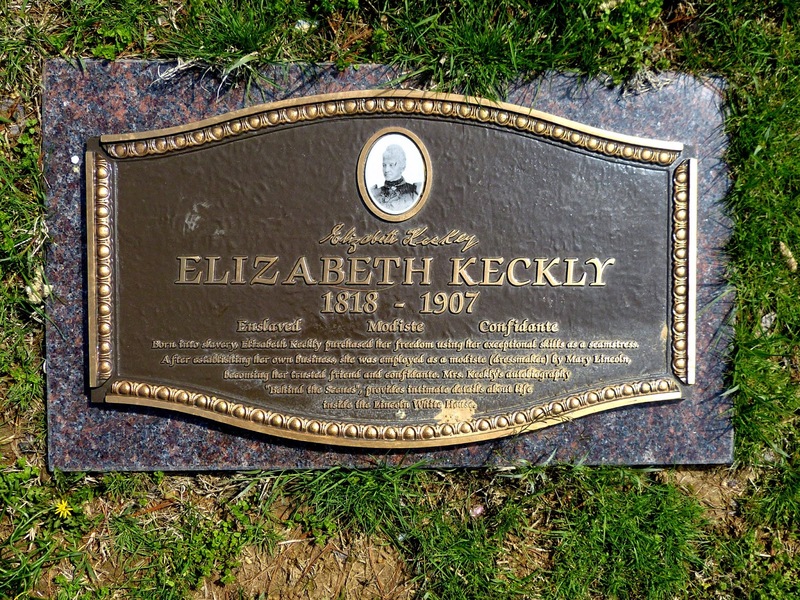 Elizabeth Keckly, Mary Lincoln's seamstress and confidante, was buried at Columbian Harmony Cemetery. 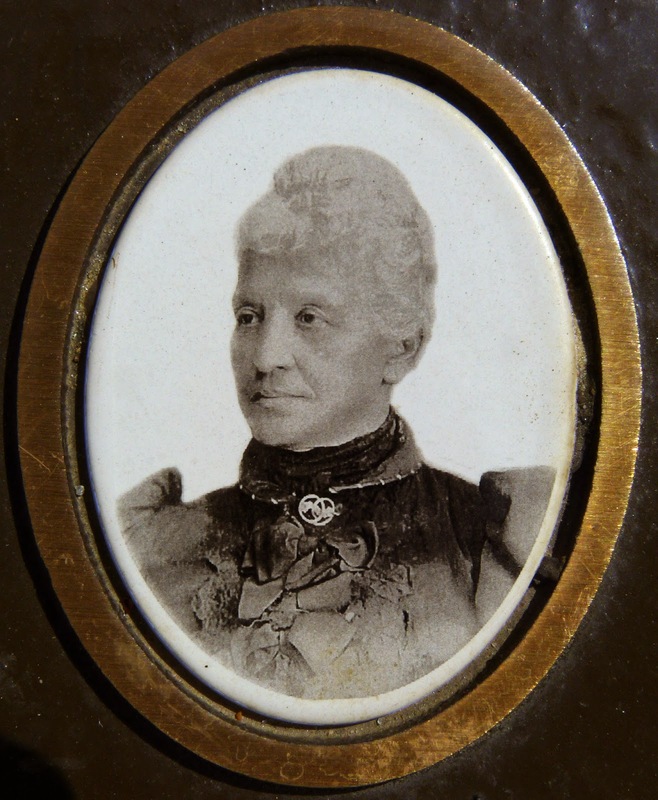 Born into slavery, Elizabeth Keckly purchased her freedom using her exceptional skills as a seamstress. After establishing her own business, she was employed as a modiste (dressmaker) by Mary Lincoln, becoming her trusted friend and confidante. Mrs. Keckly's autobiography "Behind the Scenes," provided intimate details about life inside the Lincoln White House. 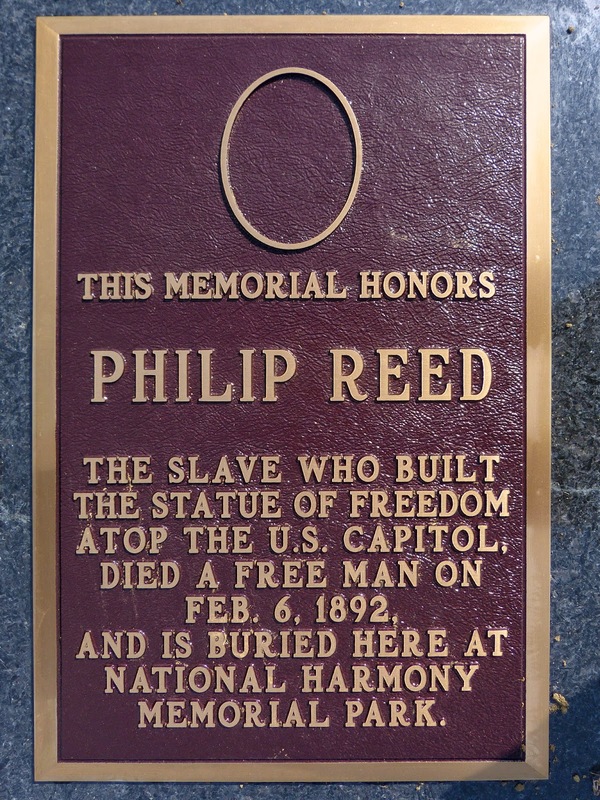 Philip Reed, who helped Park Mills create the statue of Freedom on the Capitol Dome, was buried there too. The slave who built the statue of Freedom atop the U.S. Capitol, died a free man on Feb. 6, 1892, and is buried here at National Harmony Memorial Park. 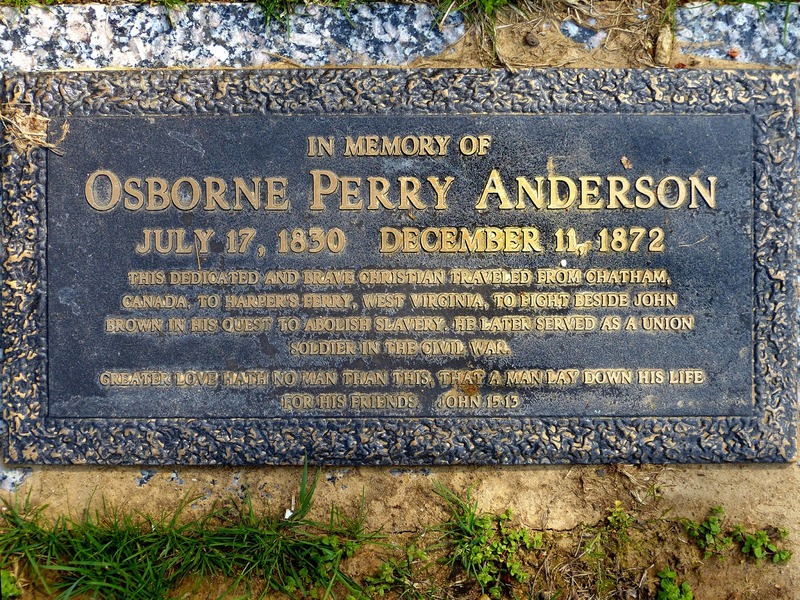 Osborne Perry Anderson was one of John Brown's Raiders in 1859. He was buried at Columbian Harmony Cemetery, too. This dedicated and brave Christian traveled from Chatham, Canada to Harper's Ferry, West Virginia, to fight beside John Brown in his quest to abolish slavery. He later served as a Union soldier in the Civil War. But these memorials in National Harmony Cemetery in Lanham, Maryland, do not actually mark the graves of these people. When the Columbian Harmony Cemetery was moved in the 1960s, the locations of the graves were lost and the headstones discarded. 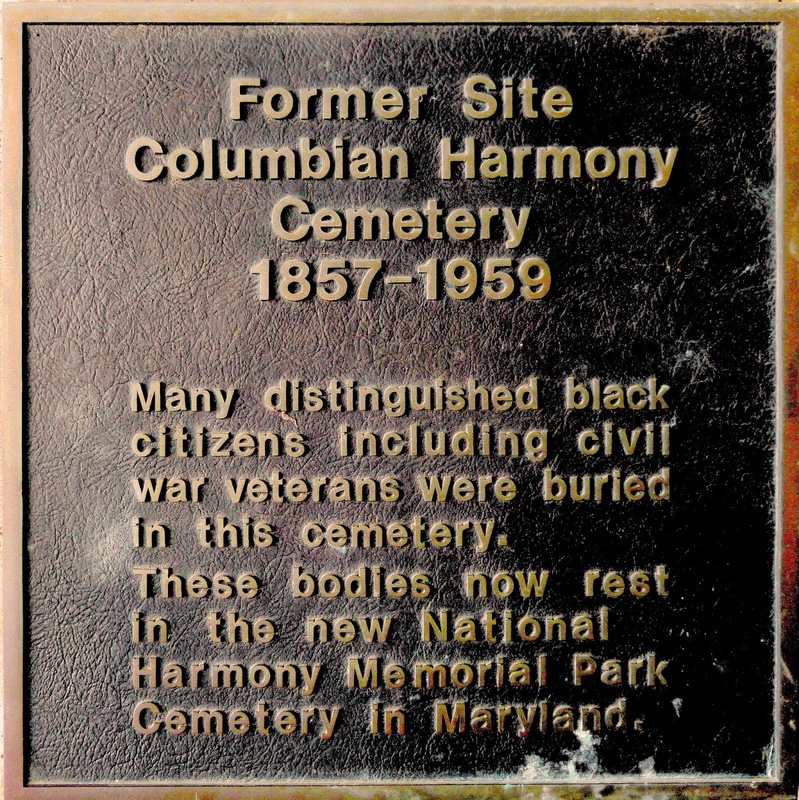 The Columbian Harmony Cemetery was founded in the 19th century as a African American burial place. Only the brass plaque and some old photos exist of the old cemetery. 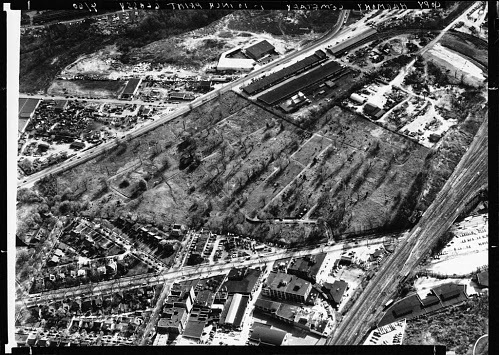 These Scurlock Studios photos from 1960 show the Columbian Harmony Cemetery just before it was removed. But by 1953, the cemetery was bankrupt. 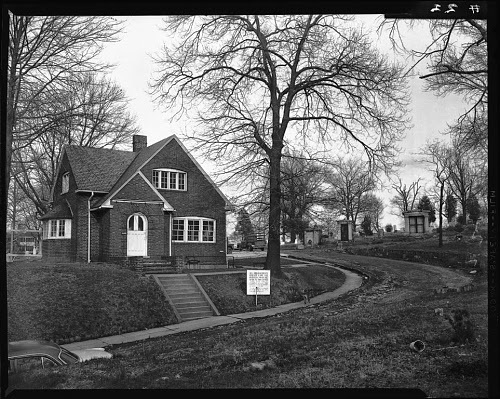 In 1957, Louis N. Bell proposed to move the graves to a new section of his Forest Lawn Cemetery in Largo, Maryland, in return for the DC property. 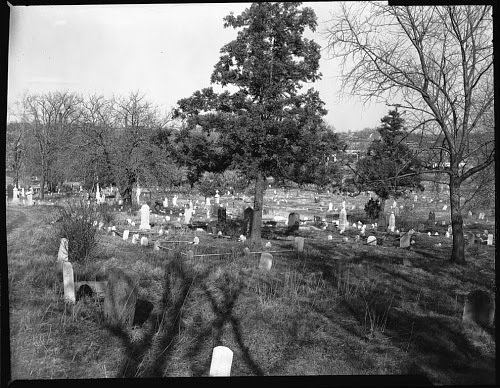 In 1960, all the 37,000 graves were moved to the Harmony Section of the Cemetery. But the headstones were not moved and the positions of the graves were not recorded. So the Harmony National Cemetery came to contain what was essentially a mass grave of the former burials in Columbian Harmony Cemetery. 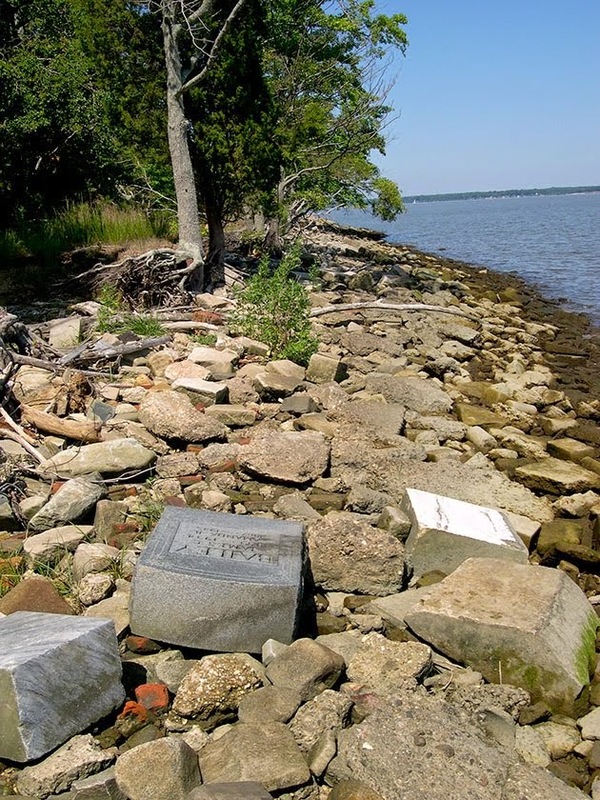 In 2010, the tombstones from the Columbian Harmony Cemetery were found used as rip-rap on the shore of the Potomac.